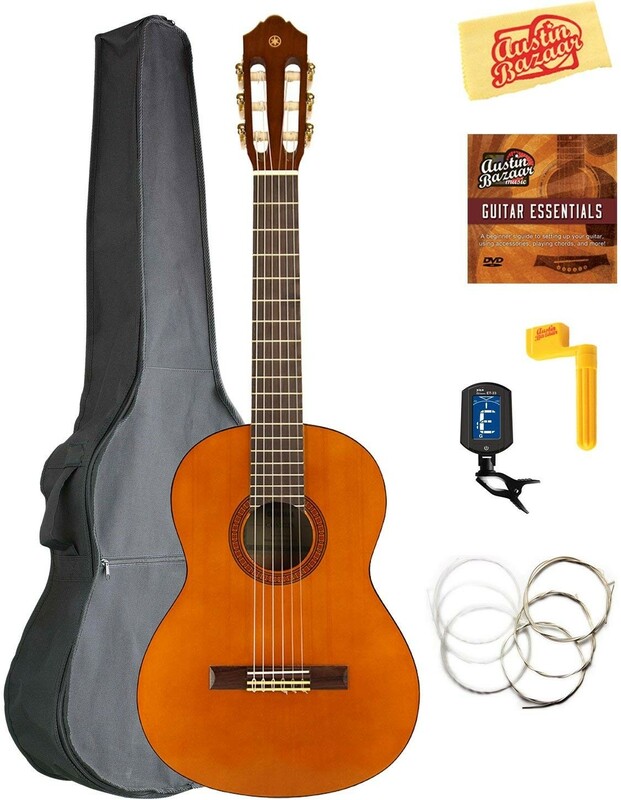 Learn to play the classical guitar with this beautiful set from Yamaha! Everything you need to start playing immediately comes in one box. 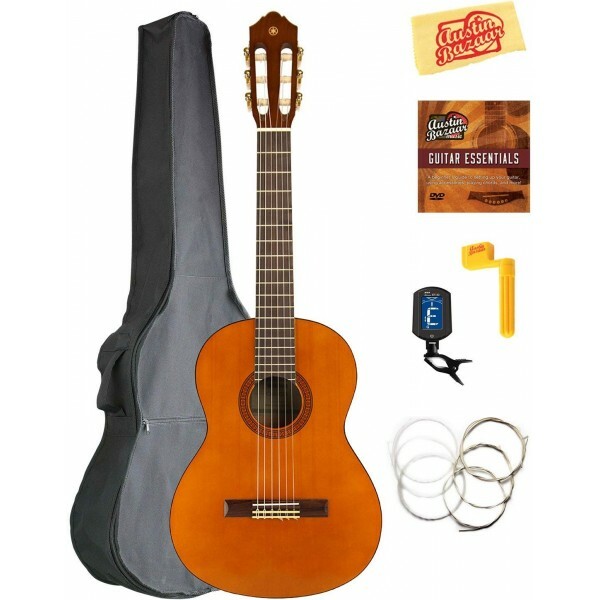 This set includes a Yamaha CGS103A guitar, a lovely beginner's instrument with a solid spruce top that's available in full size for adults or 1/2 and 3/4 sizes for smaller adults and younger players. A gig bag keeps your instrument safe, while a tuner ensures you're on pitch and spare strings and a string winder are at the ready in case one breaks. Once you're done admiring your instrument, pop the instructional DVD in so that you can learn the basics of guitar technique in your own home. When you're done, polish it with the included polishing cloth... but we bet it won't be long before you pull it out again!